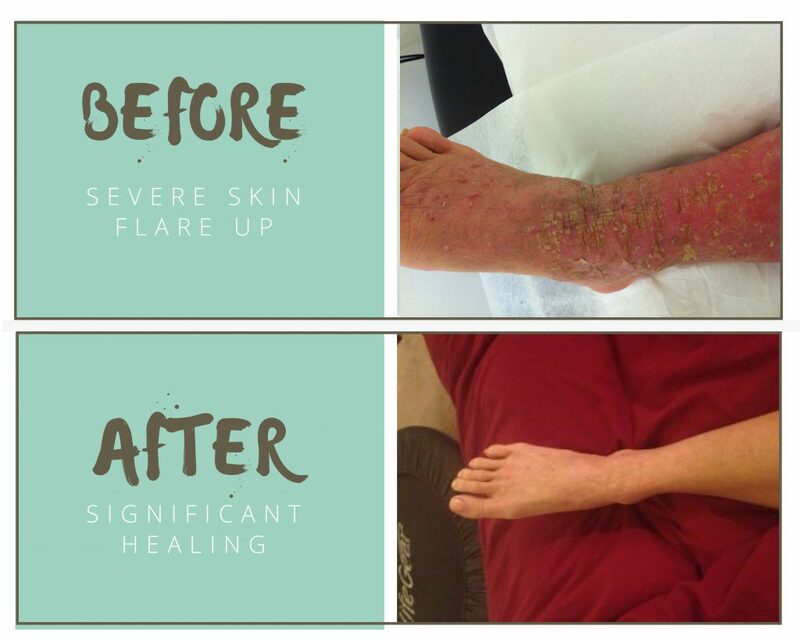 The ingredients in this eczema balm were handpicked for their known soothing abilities. 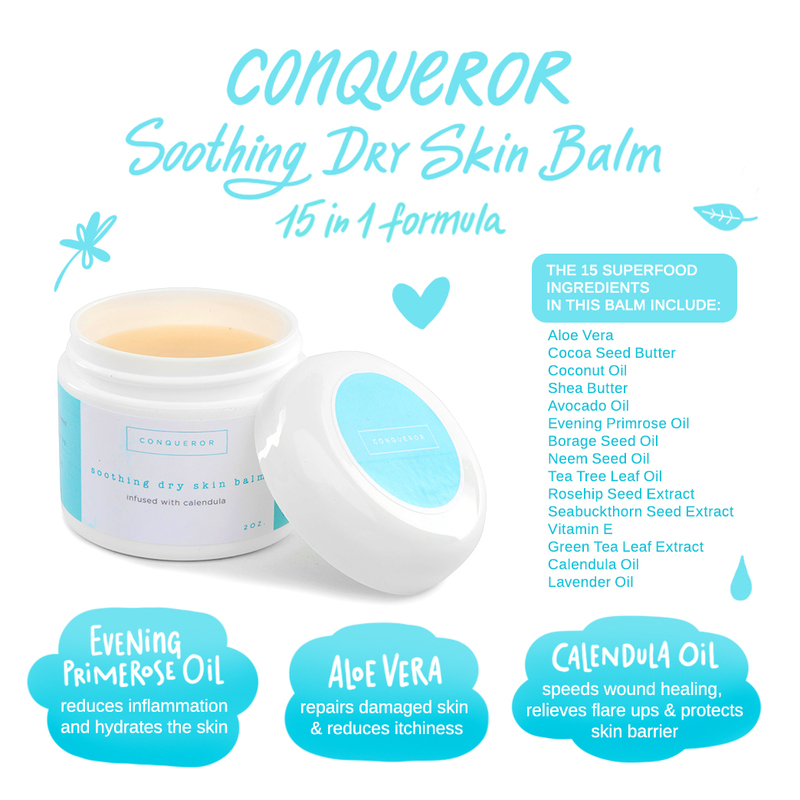 Conqueror's Soothing Dry Skin Balm is a 15-in-1 formula created to naturally moisturize and soothe dry, inflamed skin. Let the 100% natural ingredients give your skin the long lasting hydration and relief it deserves! Less than 1% dilution per oil, safe for babies. For best results use with the Conqueror Oatmeal Bath for Eczema.